Getting accepted into the CPA networks is something that frustrates many marketers. 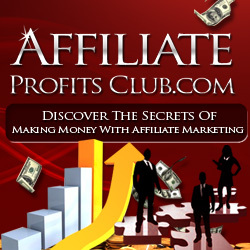 That’s because so many are used to the automatic acceptance that comes from most of the affiliate marketing networks. CPA networks are pickier because they want a higher quality marketer. Still, you can get accepted! You’ll want to follow the strategies below if you are turned down (and even before that happens!) by the networks so you can start making money from cost per action offers as soon as possible. The first thing you need to do is select the networks you want to join. That’s right — you’re going to join more than one. That’s because there are likely a wide variety of offers you want to choose from on the different networks. Something that is available on one network may not be available on another network. Also, you should pay close attention to offers that are available in more than one network. That’s because the payout is not always the same! You might find that the same exact offer pays quite a bit more on another network. After you have determined which networks you want to apply to, go ahead and find their application form. They will likely ask you questions, such as how you intend on promoting their offers, where your main website is, how much traffic you generally receive, and other questions at their discretion. These questions may be intimidating if you are new, so just answer them to the best of your ability and know that this is not the be-all end-all. Send the application, and be prepared to wait up to a week to hear something back. Alternatively, you can just go ahead and call the CPA network to gain acceptance right away. Calling is the magic answer in many circumstances. If you are taking the time to call them and discuss things over the phone, the managers will know that you are serious about this. You’ll often get accepted right on the spot! Some networks are a little bit more difficult to get accepted into. When that happens to you, you might want to lay out the marketing plan you have developed to promote their offers. Often laying out a solid business plan will help get you accepted! As a last resort, you can contact a successful CPA marketer so they can put in a good word for you. It usually does not come to this, but it never hurts to make these kind of contacts so you can make use of them if necessary. If you are not able to get into a certain CPA network right now, and you have tried everything, you’ll just have to move on and focus on the networks you were accepted into. You can always reapply later once you have more experience under your belt. They definitely will not turn down someone who is able to get results for themselves and for the company! Remember — the networks are there to make money, so if you are able to help them make money they have no reason not to accept you.